Hands down one of the most iconic moments in the classic film Gladiator. For those of you who have not yet seen Gladiator, it is for the most part a story about an honorable man avenging the murder of his family. Maximus Decimus Meridias (Russell Crowe) is a renowned Roman general who is fiercely loyal to Emperor Marcus Aurelius (Richard Harris). The emperor wants Maximus to succeed him since he believes that Maximus will “give the empire back to the people.” Marcus Aurelius’ son, Commodus (Joaquin Phoenix), is angered that his father had chosen someone else to rule the empire over him. He ends up killing his father and declaring himself emperor. Maximus is sentenced to death when he tells Commodus that he will not stand by him, but he manages to escape his execution. Commodus sends Praetorian Guards to kill Maximus’ family, and by the time Maximus arrives they are already dead. While mourning them, Maximus is captured by slavers and sold to a gladiator trainer named Proximo. At first, Maximus does not want to participate in the games but Proximo tells him that he can win his freedom as long as he gives a good performance and earn the crowd’s favor. Maximus decides to play along and manages to work his way up to competing in the Coliseum, getting him closer to Commodus. Commodus orchestrates multiple attempts on Maximus’ life, but they are not successful. Eventually, Commodus decides to take matters into his own hands and challenges Maximus to a duel. The film ends with Maximus winning the duel by killing Commodus. Unfortunately, Maximus succumbs to his own wounds, but he is able to reunite with his family in the afterlife. Overall, the film was a success. Their budget was $103 million and the cumulative worldwide gross ended up being $457.6 million. Most critics and audiences spoke highly of it. Roger Ebert and Camille Paglia were among the few who did not like the movie, giving it low scores. 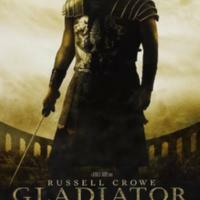 Despite their critiques, Gladiator won multiple awards (five of them being Oscars). Its success was partly responsible for the revival of Sword-and-Sandal historical epics, films with similar settings, such as 300, Centurion, and The Eagle. With the exception of 300, many of these films were not as successful as Gladiator, but some were still popular. 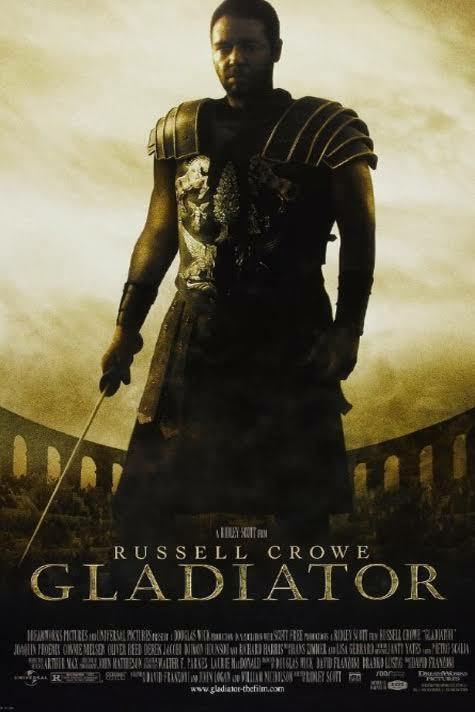 Gladiator features a variety of historical figures and practices, but its depictions of them were fictionalized to make the story more interesting and dramatic. Such artistic liberties were taken with Marcus Aurelius, Commodus, the Germanic tribes, and gladiatorial games featured in the film. Marcus Aurelius is depicted as this wise and humble man who only wanted what was best for the Roman Empire. There is no doubt that the real Marcus Aurelius worked hard for the empire, but his reign was not very prosperous and he mainly focused on the campaign he initiated against the Germanic tribes. Commodus, on the other hand, as the villain of this story, is portrayed as a cruel and sadistic individual who killed anyone that blocked his road to power. According to historical evidence, Commodus, like his father, was dutiful, but he was not a pleasant person to be with and had an obsessive personality. The film made sure to exaggerate his negative traits to create an antagonist that everyone would hate. The film’s depiction of the Germanic tribes is similar to how other films have portrayed them. They are portrayed according to Roman historian Tacitus’ description of these Germanic tribes. He claimed that they were largely built, had long hair and beards, and wore fur cloaks. It seems to me that the film’s portrayal of gladiatorial games captured the spirit of those games. They were a central part of Roman life for centuries, and the film shows a variety of different types of slaves who became gladiators. The games, contrary to what was shown in the film, did not always end in death. Films and stories make gladiator games synonymous with blood baths. It is true that these games were dangerous and people have died in them, but there were many laws that were implemented to prevent games that ended in death. The Coliseum was one of the many sites where the gladiatorial games took place, and one scene early in the film shows gladiators fighting in amphitheaters in a backwater town, far from the action in Rome, which is accurate for the period. The film recreated these places, particularly the Coliseum, with CGI, and presents us with how these places may have looked and functioned in the second century. I suggest paying close attention to the floor of the arena during the battle between Maximus and Tigris of Gaul because it shows how the hypogeum (a network of tunnels, elevators, and cages) probably worked. In the end, I greatly enjoyed the movie and would highly recommend it. It is not 100% historically accurate – understandable, as it is a Hollywood film. Nevertheless, the film had decent portrayals of some of the historical elements it featured. And even if you are not a history buff it is still a great film with an engaging plot and good acting. Ariana Gomez, “Gladiator (2000),” Medieval Hollywood, accessed April 24, 2019, http://medievalhollywood.ace.fordham.edu/items/show/9.